Last Friday evening I disembarked from my train at Paddock Wood station in Kent (UK), and enjoyed a meandering car journey through what appeared to be a never-ending warren of country lanes. Eventually, we turned on to a long, narrow private road, which peregrinated around various fields before revealing, in the distance, a large, palatial mansion. The house was beautifully set, classically formed (to my eye, at least), and effectively lit. Next to the house was a much smaller building, a coach house, and this was to be my home for the next two days. 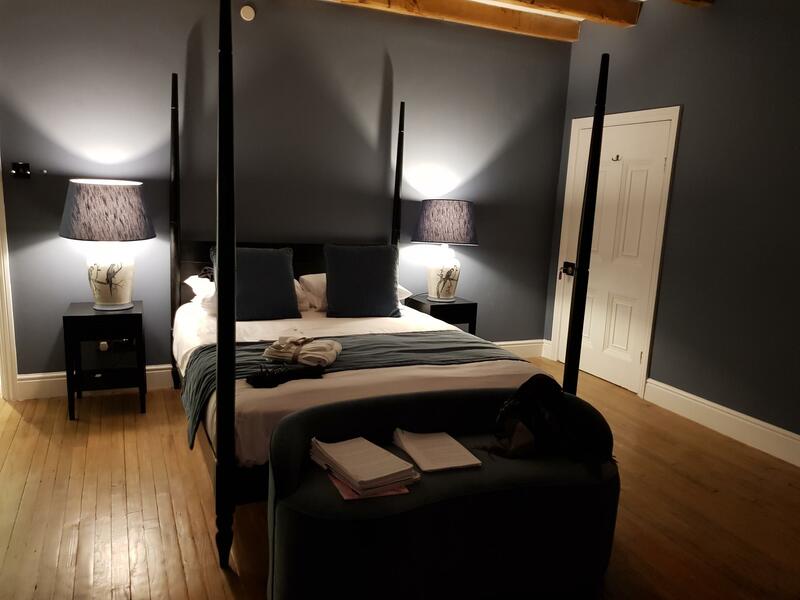 My room (pictured below) was of ample proportions, tastefully decorated in rich dark colours with luxurious fabrics and an impressive fireplace; had I inadvertently stepped into a romantic Eighteenth century novel? I fully expected Mr. Darcy to sweep in and take me to dinner. This was my introduction to Finchcocks Music. 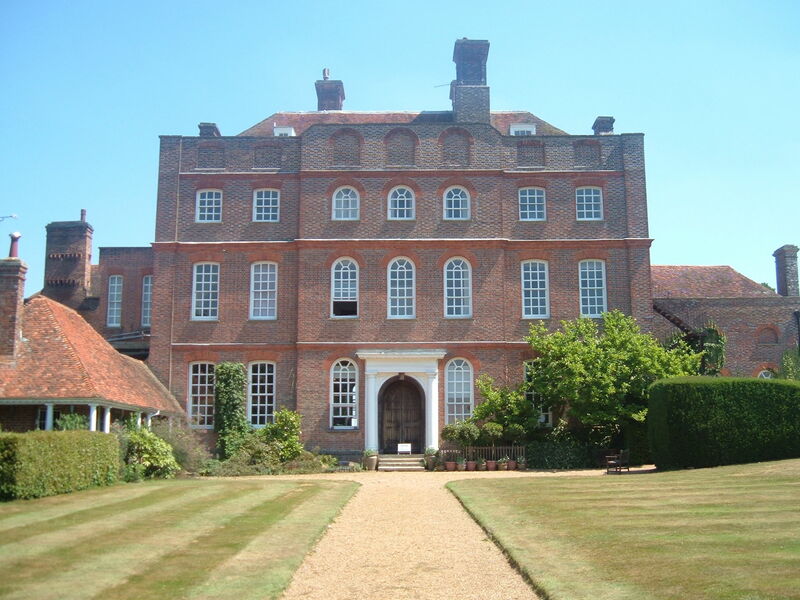 Finchcocks is an early Georgian manor house (pictured at the top). For 45 years it housed a large collection of historical keyboard instruments which was open to the public. Recently, Finchcocks was sold and has now started a new chapter, reopening as a retreat to study the piano. 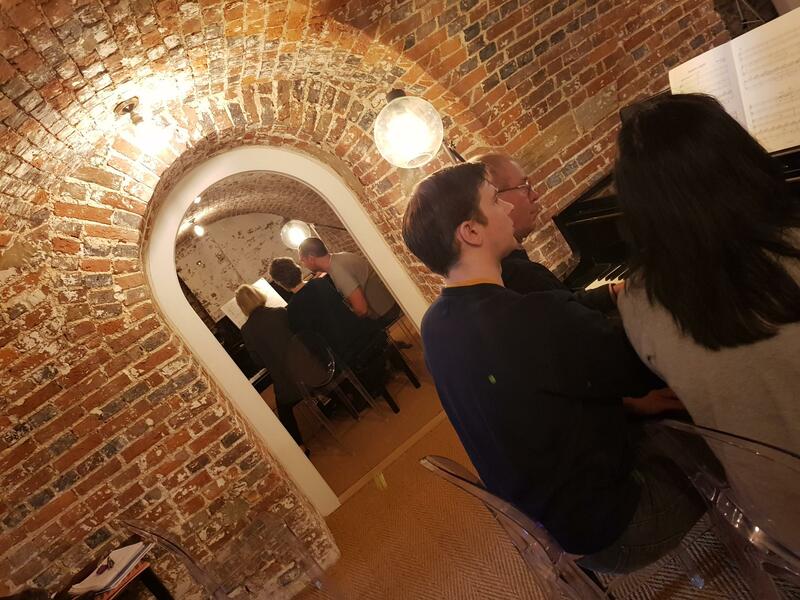 Piano courses are a feature most weekends throughout the year, and they are largely frequented by adult amateur pianists and piano teachers who are keen to improve their skills and meet other musically minded souls. As piano course director it was my job to ensure participants savoured the whole experience. My course began on Friday evening and concluded at 4.00pm on Sunday, it was advertised for intermediate players (around Grade 4 – 7 of the ABRSM exam system), but most of the seven attendees were beyond this level. From all walks of life, my students clearly shared a common love for the instrument and a tremendous capacity to learn. 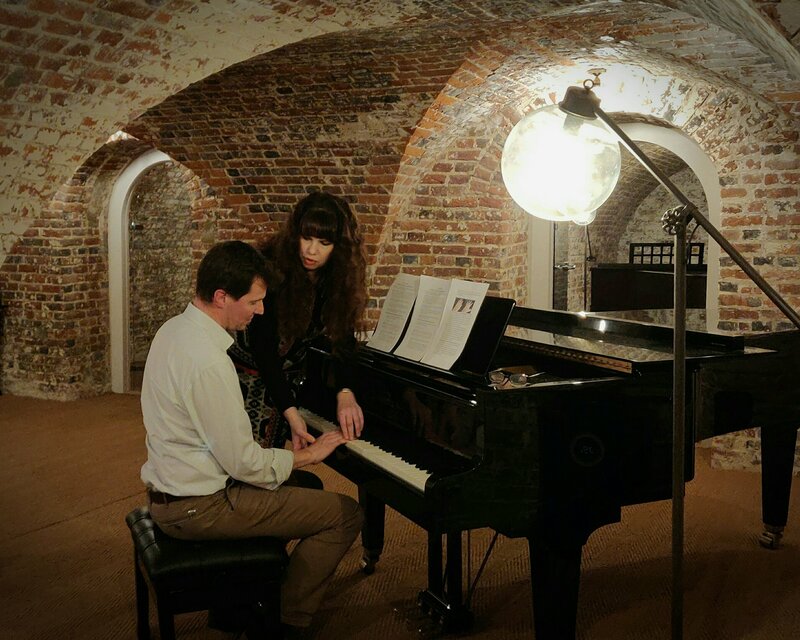 The course was conducted in the main house; the basement had been converted from cellars into a most attractive and unusual performance and practice space (see photo to the left, where I am coaching Finchcocks owner, Neil Nichols). There were five designated sections for solo practice; within the cellars, rooms had been created with sound proof glass doors, each one resplendent with mostly historic grand pianos. There were seven grand pianos in total, available for student use. The main space contained a concert sized historic instrument, with plenty of room for participants to sit, walk and spread out during the course. And there was even a comfortable ‘coffee area’ with several sofas, designed as a much-needed respite from the intensity of the course. I love teaching, talking about, and writing about piano technique, and Friday evening’s class was a basic introduction, surveying wrist flexibility and motility during practice and performance. This was well received, and it certainly got participants thinking about the importance of cultivating a relaxed posture. This is the first step to overall improvement. ‘Technique chat’ continued on to dinner. 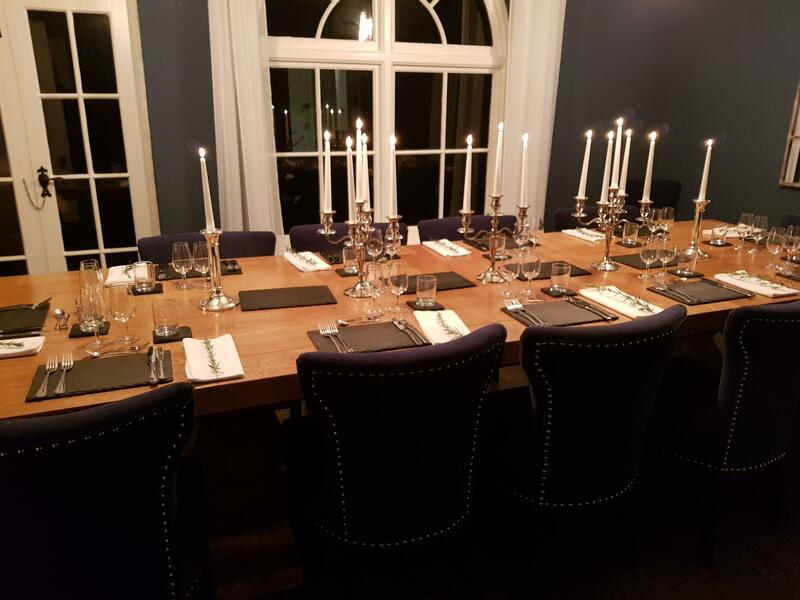 The meals were enjoyed back at the coach house, and they took place around a lavishly set table (pictured above), and consisted of a three-course meal with delicious food and copious wine, all prepared by a chef employed for the weekend. Saturday was a full day, commencing with memorisation techniques, moving onto master classes, which continued after lunch. Course members were generally quite anxious whilst performing, but (hopefully) due to the relaxed nature of the weekend and the constantly evolving friendships forming between them, these open classes gradually became more light-hearted. One aspect of the course that I particularly enjoyed and appreciated was the opportunity to give one-to-one lessons. Neil Nichols, who now owns Finchcocks and hosts the courses, was keen for students to have time with me on their own, rather like a private lesson. This works extremely well, and it offers the chance to address issues in a more private domain. I gave private lessons on both Saturday and Sunday during the course. After a feast on Saturday evening, Sunday began with a morning of sight-reading; ordinarily this is seen as a dull, perfunctory element of piano playing. But I’m always keen to show that it can be fun. After waltzing through my sight-reading notes (I aim to give course members practice notes), we embarked on solo sight-reading, and, after coffee, this was followed by duets, and finally, trios or three pianists at one keyboard. The trios were definitely a highlight (see photo above), and due to the plethora of instruments, we were able to double up and have six pianists at two pianos (photo below). I find this one of the best and most engaging concepts for those wanting to improve their reading. It also encourages students to really become acquainted with the fellow course members. After all the classes and private lessons, the course ended with a final performance of a trio by composer Mike Cornick. Coffee and a rather indulgent slice of cake closed a delightful weekend. I had made wonderful new friends and worked with some talented pianists. Piano courses are a great way to improve many facets of music study. They seek to inspire, address technical and musical issues, consolidate learning skills and endeavour to suggest new practice ideas. My thanks to Neil and his wife, Harriet, for their superb hospitality. If you would like to study the piano in luxury at a country retreat, do check out Finchcocks. Next year’s tutors include Graham Fitch, David Hall, Andrew Dunlop, and Warren Mailley-Smith. 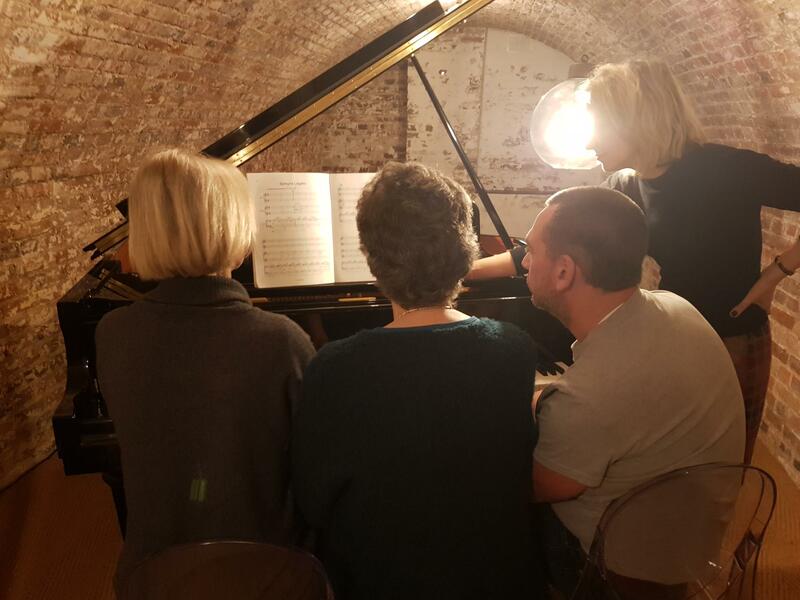 For a more thorough review from course participants and Jenny Maslin, who helps to run the piano courses held at Finchcocks, please click here.